PAWLEYS ISLAND, SC – Excited to be visiting the Founders Club for the first time, I was not disappointed in the least. Located on the southern end of Pawleys Island off Hwy 17, the first thing that greets you is an inviting Lowcountry style clubhouse. A well-stocked pro shop with a grill overlooking the 18th hole adds to the charm of the golf course. With five sets of tees the length is not overwhelming. The Black Tees play at 7007 yards with a course rating and USGA Slope of 74.1/139, while Blue Tees measure 6708 yards at 72.8/134. The White Tees are a challenging 6394 yards, 71.1/129. Gold Tees are a comfortable 5506 yards at 67.0/117 for men and 72.4/133 for the ladies. Red Tees measure 4805 yards with a 68.1/114. 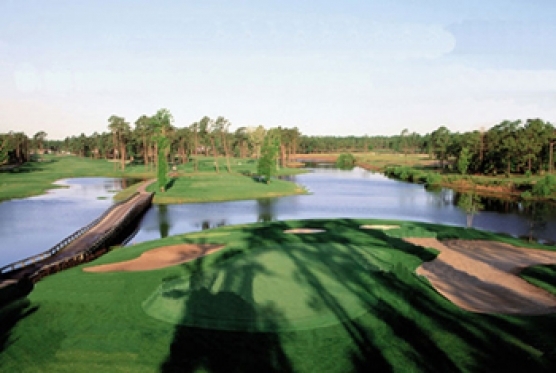 Here are a few things to know about the Founders Club at Pawleys Island. Even for the average golfer, driver is not necessary on every hole. A yardage book will be an immense help. From tee to green the course is in very good shape. Although there is not a driving range at the Founders Club, there is a large net and mat with complimentary balls to get you loose. Two very large putting/chipping areas more than make-up for the lack of a full driving range. Waste bunkers serve as cart paths on almost every hole. Along with native Sea Oats the course is visually very attractive. With a few exceptions greens have only mild undulation. All are quite large. Be prepared to test your lag putting ability. Water is prevalent and does come into play. No forced carries. After a straightforward relatively easy opening hole, you’ll be faced with the No 1 Handicap the Par 4, 2nd Hole. At 390-yards from the White Tees length is just the beginning. You’ll drive to a narrow landing area protected by water on the right and a waste bunker with trees to the left. Left center of the fairway gives you the best approach to a green protected by a large trap to the right and a well-placed bunker to left center. Choose your club wisely as your approach will be ever so slightly uphill. No. 14 is a Par 4, #2 Handicap and an absolutely gorgeous hole. You’ll want to move your tee ball slightly left to right on this dogleg right, but straight is also very good. From the White Tees a 250-yard drive leaves about 150-yards uphill to the center of the green. Club up and be very satisfied hitting the center of the green. Sand traps to both the left and right can be very penal. Take a moment to look back to the fairway and enjoy the view. The Par 3s at the Founders Club give the player an opportunity to score. No. 5 is one of the few holes where long is not good. A back pin placement may tempt you, but there’s a troublesome sand hazard almost on the edge of the green. What you see is what you get on No. 16. Hit to the center of the green and make two good putts for your Par. The finishing holes that await you are challenging enough. The Par 5s are all very playable. Both big hitters and shot makers can have a look at birdie, or par. The front nine finishes with the 493-yard No. 7 Handicap. An accurate drive to a narrow landing area that’s protected by waste area to the left and fairway traps and waste area to the right is a great start. A second shot to a wide landing area can leave you with a short iron to the green. Play to the center of the green with your approach shot and avoid the waste areas protecting both sides of the green and sand traps in the back. Par is a nice score. Where No. 9 gave you an opportunity to finish strong on the front, the Par 5, No. 10 presents a chance for a good start to the back. For the big hitters this is the hole to show your stuff. A generous landing area for the drive and a fairly wide front to the green make this one a very reachable hole. If laying-up is called for a wide part of the fairway will leave a 60-yard approach. This is a golf course that I thoroughly enjoyed playing. 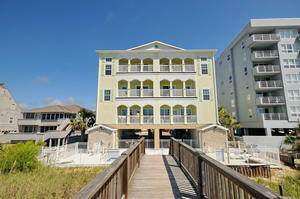 Between Murrells Inlet and Pawleys Island there are some wonderful venues. Playing Founders Club at Pawleys Island is well worth the drive.